This page contains the Frequently Asked Questions (FAQ) of the Executive Committee. If you have any questions about PhilaSUG, you may forward your questions to Executive.Committe@PhilaSUG.org. 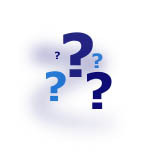 We will send you a personal reply and post questions and answers we feel are of general interest at this location. Can I obtain presentation handouts? Why Should You Join a SAS Users Group? What are the Benefits of Users Group Membership? You can become a member by attending a PhilaSUG meeting, registering, and paying the annual dues. Currently, the dues for the year are $30. Please check the most recent meeting announcement for any updates. There are no other fees for attending PhilaSUG meetings. We will accept cash, but a check is preferred. Please do not mail in your $30 annual membership dues beforehand, as this creates unnecessary paper work. Receipts will be available at registration time. A tip for those who have not yet renewed their membership -- to breeze thru meeting registration -- print the membership form and bring it (completed) to the meeting. For less writing, and greater legibility, it is suggested you attach a business card and check (made out to PhilaSUG ) or cash. Employees of our sponsor for this meeting will be given courtesy admission, but we do request that they register for mailing list purposes. Members get entry to our meetings for the calendar year; usually we have 3 meetings per year (Winter, Spring, Fall), and each member gets a copy of the e-newsletter mailed approximately a month before each meeting. Be sure to subscribe to PhilaSUG-L.
You can sign up for PhilaSUG-L and receive notices about our meetings without being a member. A. PhilaSUG-L is a low volume, announcement-only e-mail notification service provided free of charge to anyone who wishes to subscribe. You'll be notified of the latest information about upcoming events, especially meeting announcements. How do I subscribe to PhilaSUG-L? In order to sign up for this service, you need only send a blank e-mail message to: PhilaSUG-L-subscribe@yahoogroups.com. Note that you can subscribe as many times with as many different e-mail addresses as you wish to have the e-mail sent to; e.g., home and office. How do I unsubscribe to PhilaSUG-L? You can stop delivery by sending a blank e-mail message to: PhilaSUG-L-unsubscribe@yahoogroups.com. How do I notify PhilaSUG-L of a change of email address? Q. What if I move or change jobs? A. If the address you are having the newsletter sent to changes please send the old (it makes it easier to verify we're changing the right address) and the new information to membership@PhilaSUG.org. If the email address you're having PhilaSUG-L mailed to changes, please unsubscribe from your old email address (if possible), and subscribe from your new email address. What is one of the most often asked questions at a user group meeting? "Are there any handouts?" Please take note of a convenient feature at the www.PhilaSUG.org web site. There you will find links to recent papers and handouts from PhilaSUG meeting presentations. We thank and appreciate the presenters for allowing us to share this information. Q. Why Should You Join a SAS Users Group? enhance managerial and leadership skills by serving as a user group officer, coordinating involvement in annual and regional SAS user group conferences, or organizing a new user group. networking and idea sharing with other SAS software professionals.